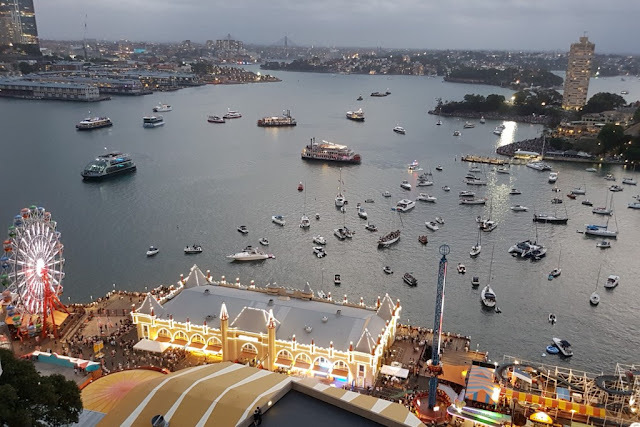 Our darling nephew Joel invited us to this AMAZING place at Milson's Point, overlooking Luna Park, Lavender Bay and Sydney's Harbour Bridge, to view the greatest show on Earth, Sydney's NYE fireworks, last Sunday night. I was so excited I could hardly believe I was really HERE........ Seeing the New Year in on Sydney Harbour has been on my bucket list for at least 60 years! How did you know that Joel? 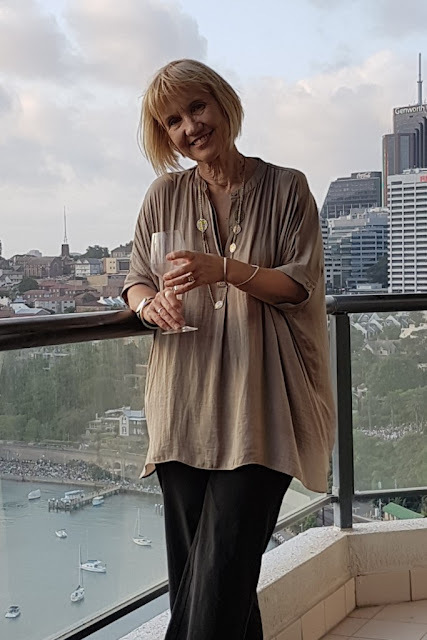 It's so special sharing this wonderful night with our South Korean family too (starting the celebrations with a glass of our fave Kardinia Rose). I loved the way the cruise boats were all lit up with LED lights - a beautiful light show to complement the main action. And then it's over......... and a New Year begun. A spectacular way to start 2018, in the best of company. I'd been dreading the trip back home. A million people gather round the harbour to see this show and I thought there would be huge delays getting back across the harbour, at the very least.